I get so much inspiration from design. Whether it is a beautiful business card or a well designed kitchen. Great design is definitely at the top of my list! I think I got it from my Mom. But I have a big sweet tooth! I love all things dessert. Ice cream, macarons, wedding cake, you name it, I have a craving for it! Fresh flowers in the house make me so happy! I love taking pictures of beautiful flowers and having an arrangement at home too. Lisa Ziesing has loved wedding photography ever since she can remember. The moment clicked when she first discovered the rich colors, depth, and crisp feeling that only film photography can create. She’s in love with the details, getting to know the couple’s story as well as the talented teams it takes to bring a wedding from a few ideas to the couple’s big day. She loves how the people she gets to work with push her to go a step further and take her creativity to new heights. Film photography has taught her to slow down and think about each photo before she takes it, giving her work a feeling of intention and also enabling her to read a room and know when the perfect moment is coming her way. Chances are you’ll find her with a smile on her face and a tear in her eye as the couple exchanges vows–and you’ll have the gorgeous ceremony images to show for it. 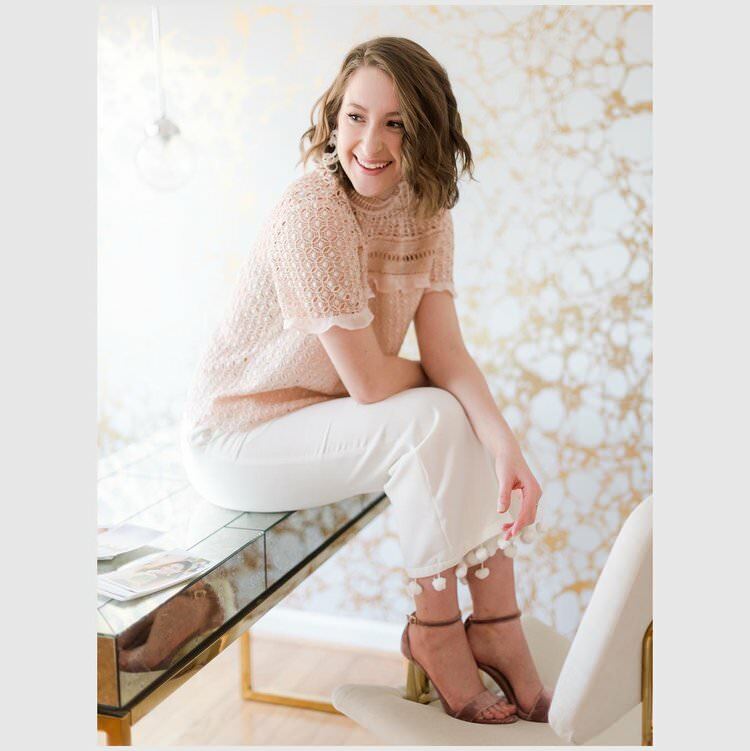 Her work has been published in Martha Stewart Magazine and Washingtonian Bride & Groom. One of my favorite weekend activities is going to the farmer's market with my family. We go to our regulars that save us our favorite apples and cheeses. We take our bounty home and cook for the week. It's such a nostalgic and relaxing tradition. I plan my vacations around ice cream. As soon as we book a plane ticket, I am already researching the best ice cream in town. My favorite spot for local ice cream is Peterson's Ice Cream in Clifton, Virginia. I have always known that I wanted to photograph weddings and always to shoot them on film. I love the true and rich tones as well as the ethereal pictures it produces. I love that the medium creates an environment that makes me slow down and really capture the moments.